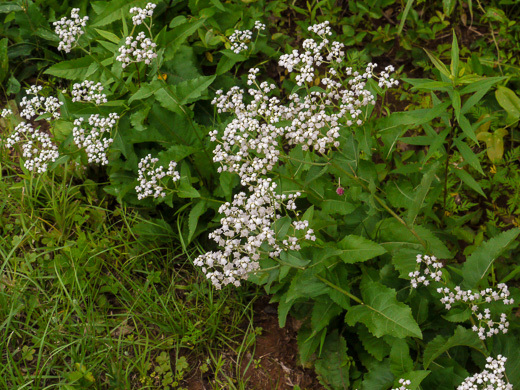 Five tiny white rays are evenly spaced around the 1/4" disc, per Wildflowers of the Southern Mountains. 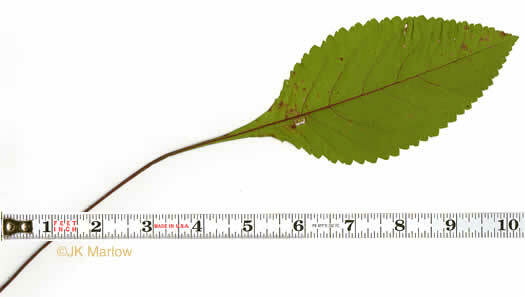 Disc florets functionally staminate (filaments distinct, anthers connate), per Flora of North America. 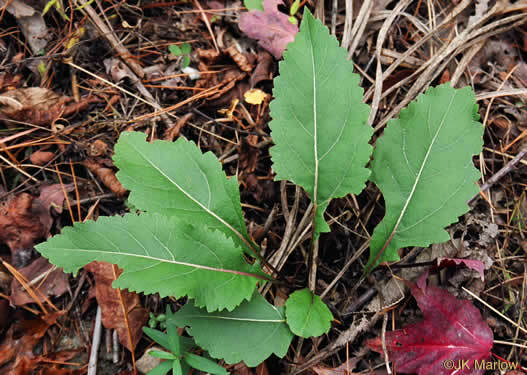 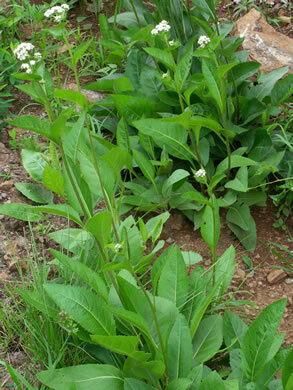 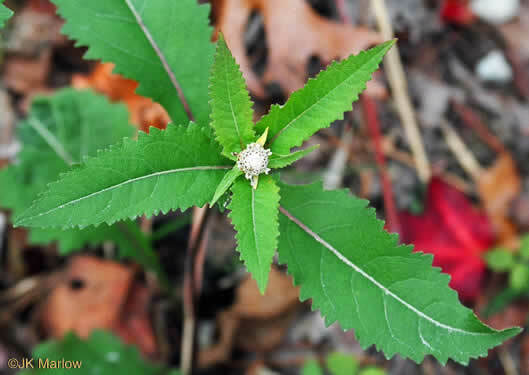 Basal leaves ovate to elliptic, 3-8" long, round-toothed, long-petioled, per Wildflowers of Tennessee, the Ohio Valley, and the Southern Appalachians. 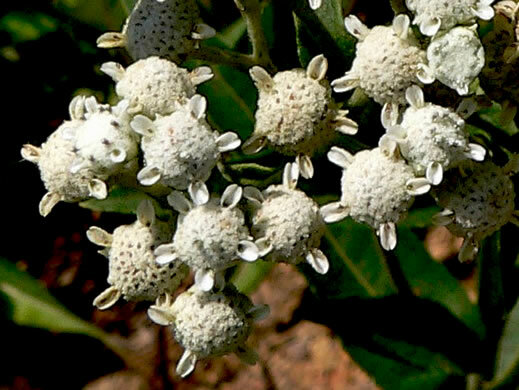 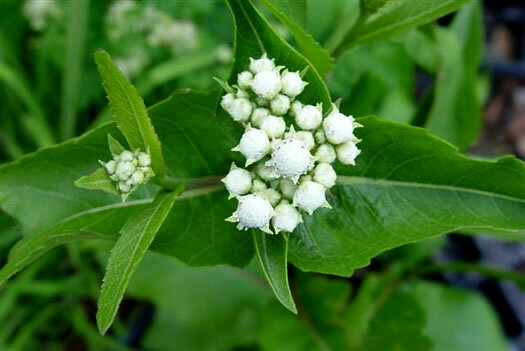 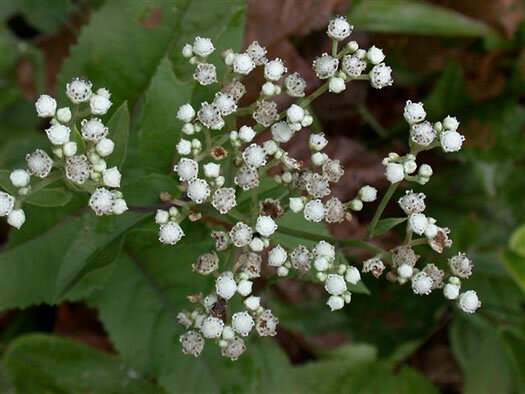 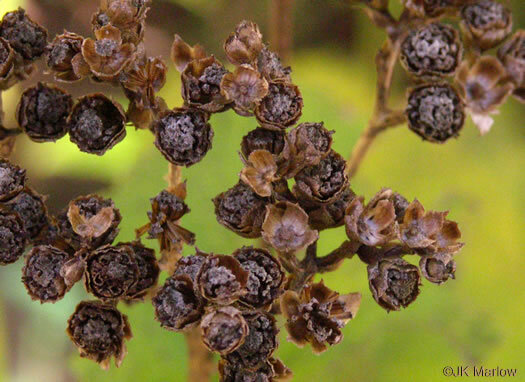 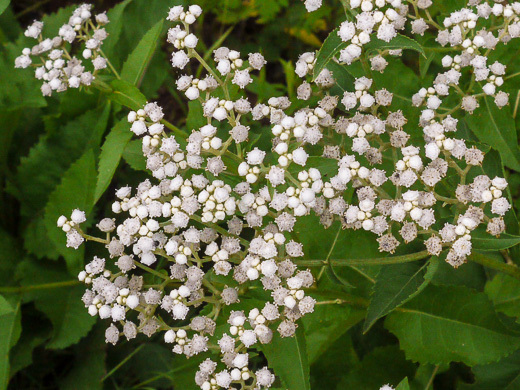 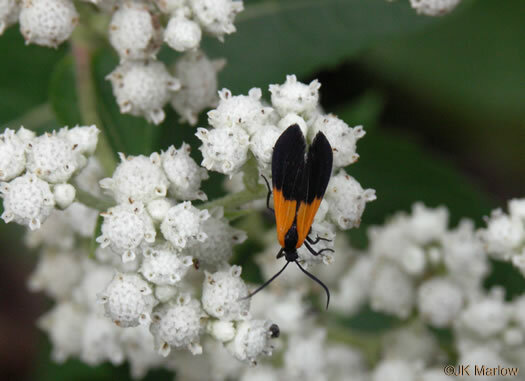 Numerous small heads in flat-topped clusters at ends of stem and branches, per Wildflowers of Tennessee, the Ohio Valley, and the Southern Appalachians. 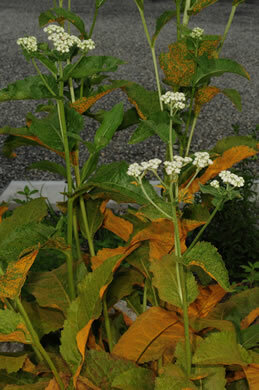 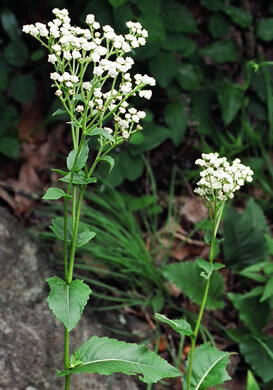 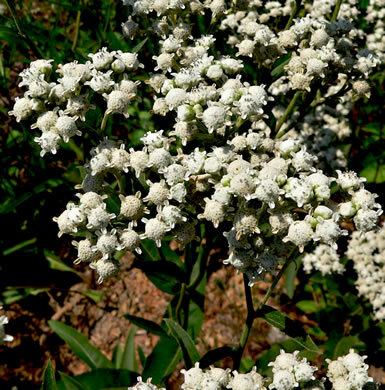 Thick, rough-surfaced, sparsely toothed, alternate leaves, per Wildflowers of the Southern Mountains. 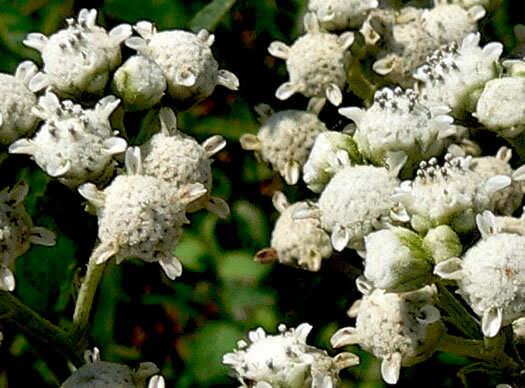 Achenes blackish, obovoid, slightly flattened, per Wildflowers of Tennessee, the Ohio Valley, and the Southern Appalachians. 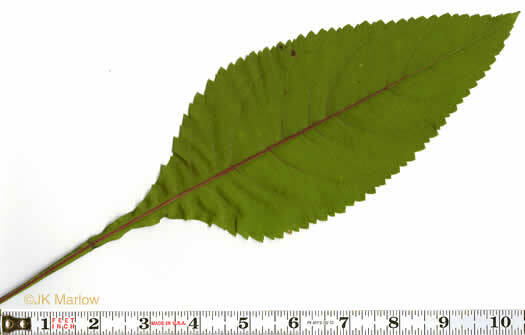 Upper leaves smaller than lower, often sessile, per Vascular Flora of the Carolinas.